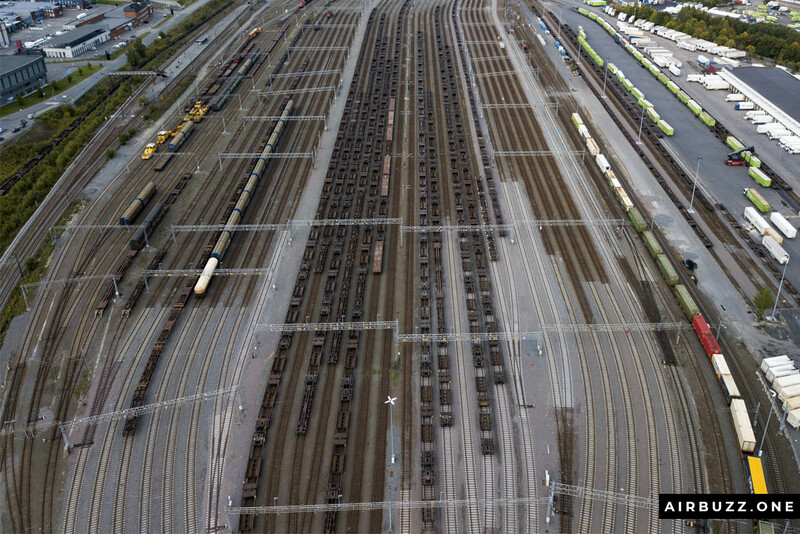 I like the symmetry of the train tracks on this large freight terminal. How the parallel lines merge into a couple of lines, is almost a piece of art. 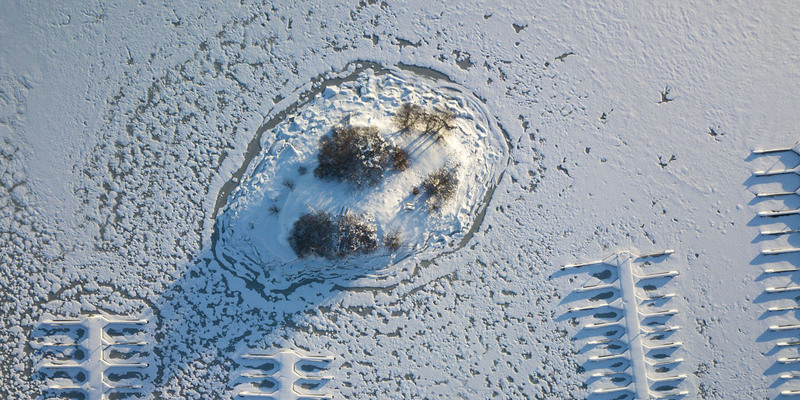 It looks great from above, right? Perfect for drone photography. Of course, I don’t like flying over live sites too much so I did this quickly with caution. I’m not a very experienced drone pilot either. 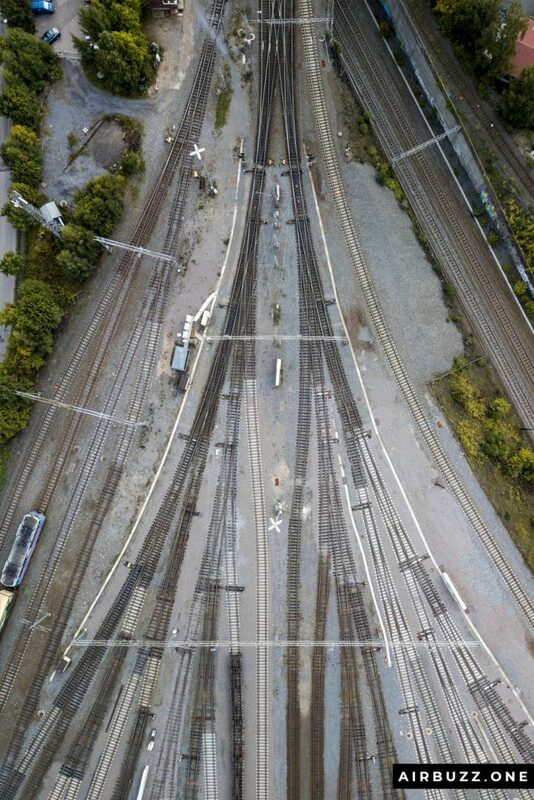 I concentrated on the spot where the tracks merged into a Y-shape. 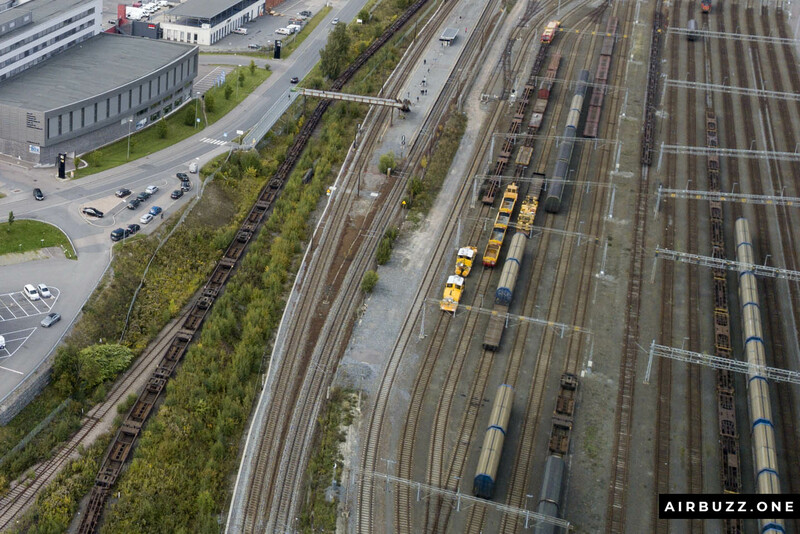 I would be awesome to do a straight-down drone shot of the middle section of the terminal where hundreds of empty rusty train wagons were lined up waiting to be loaded with cargo. I flew towards them, took a quick picture, and moved out of the way. I trust the flying capability of the Mavic, but you never know. I didn’t want it to fall down in this area. 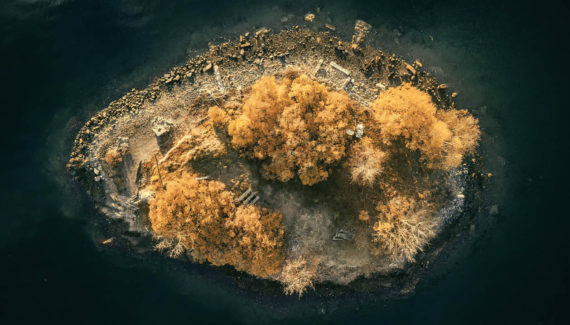 Check out: Droning Outside an Abandoned Bunker! Do you also like train tracks like these? Leave a comment below. 🙂 The next article is about a very successful trip to the forest with lots of adventure and cool pictures. 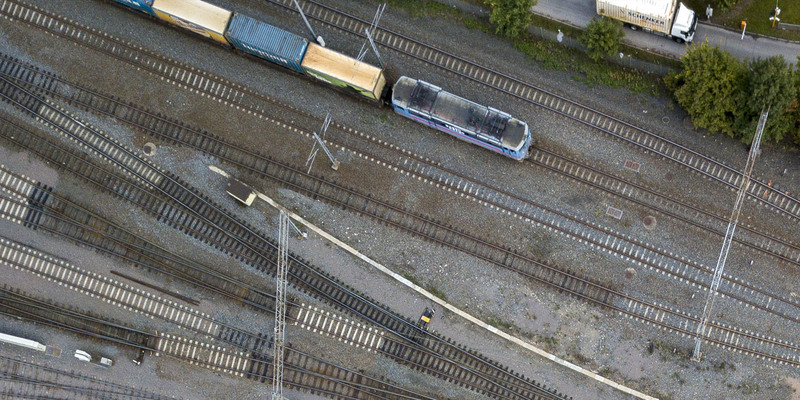 The parallel lines with train wagons look great from above. 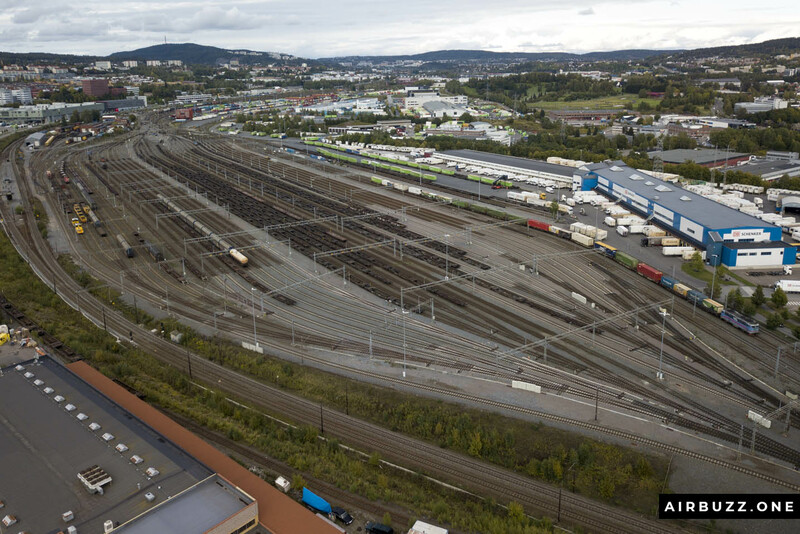 A few work trains and the commuter station on the side. 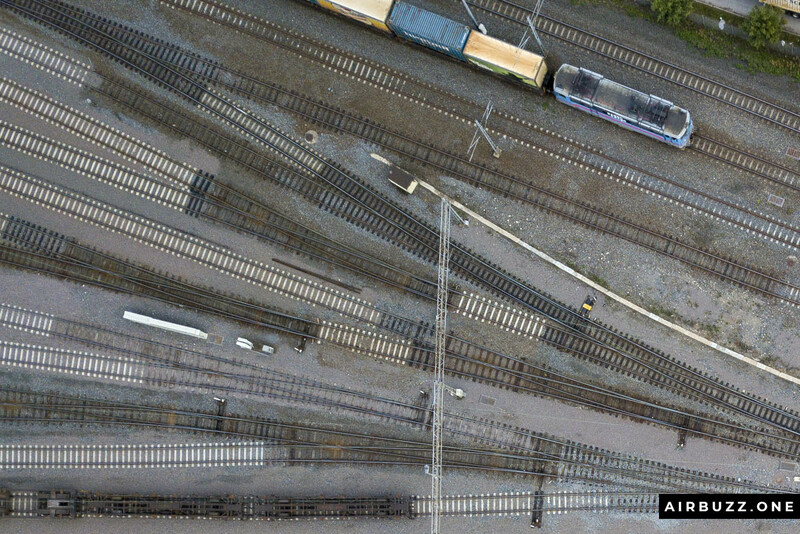 The symmetry of this tracks was one of the goals with the drone flying. Detail from the Y section. This picture has a little model-train vibe over it. 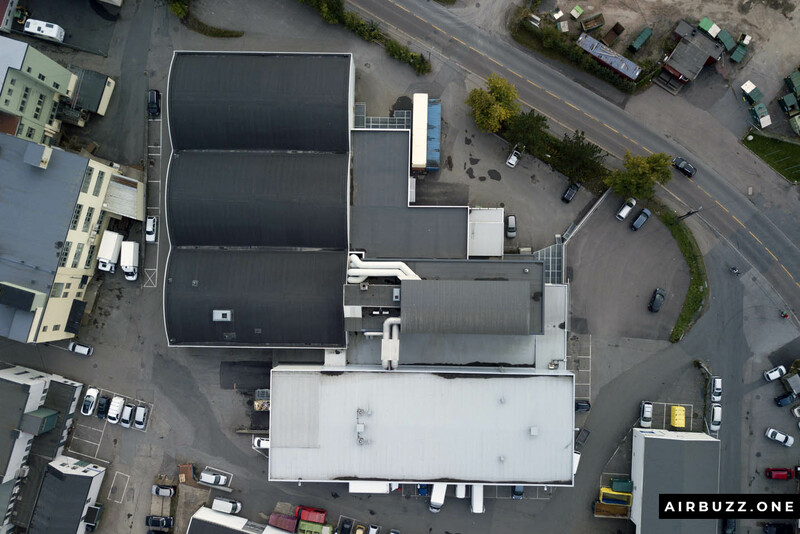 Above industrial building. Do you see the question mark? 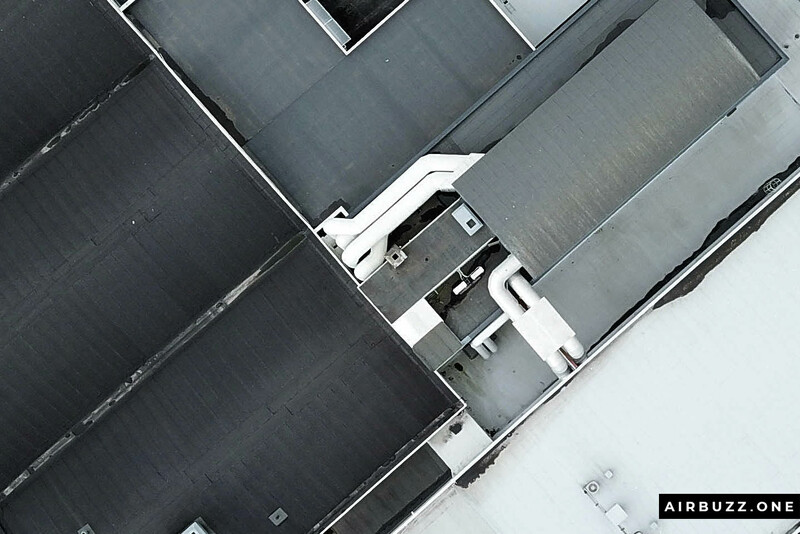 Cool rooftop shot from the industrial building. I really like your pictures in here :). What drone do you have? where did you buy it? And is there an integrated camera in all drones?